It seems almost unfathomable that nearly a half century after its birth Judas Priest is still as relevant and formidable as ever. 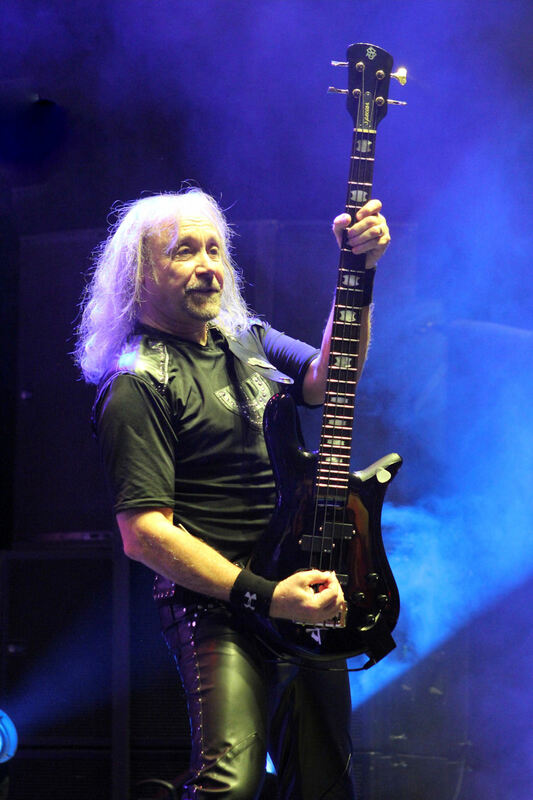 Bassist Ian Hill remains the band’s stoic anchor. He and Al Atkins co-founded the band in 1970 after Atkins previous incarnation pulled the plug. Guitarist K.K. Downing served as the band’s sole guitarist in those early years of the 70s. 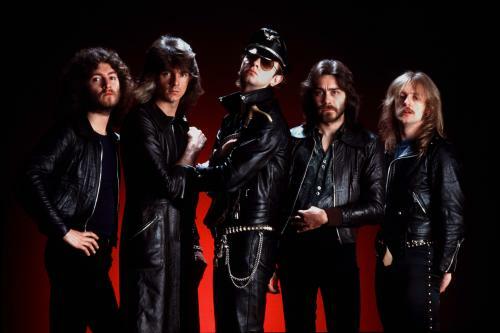 Vocalist Rob Halford signed on in 1973. His powerful vocals resonate as viscerally today as they did from the band’s earliest recordings. Priest’s 1974 signing with Gull Records would bring guitarist Glenn Tipton into the fold and he and K.K. would form one of the most iconic and formidable fret tandems in heavy metal history. While many skin masters would man drum kit for Judas Priest early on, Dave Holland settled in at the beginning of the band’s highly successful decade during the 1980s; from British Steel through Ram it Down, he backstopped the group’s biggest selling albums. Still it was not until the entrance of Scott Travis in 1989 that Priest would find its most skilled and imposing drummer. He remains the foundation for the band to this day. Over the course of five decades, Judas Priest has released 18 studio albums, from 1974’s debut, Rocka Rolla to the newest release, Firepower. Thanks in part to poor production and guidance from producer Rodger Bain who produced Black Sabbath’s early efforts, Priest’s first album lacked the punch it might have had. 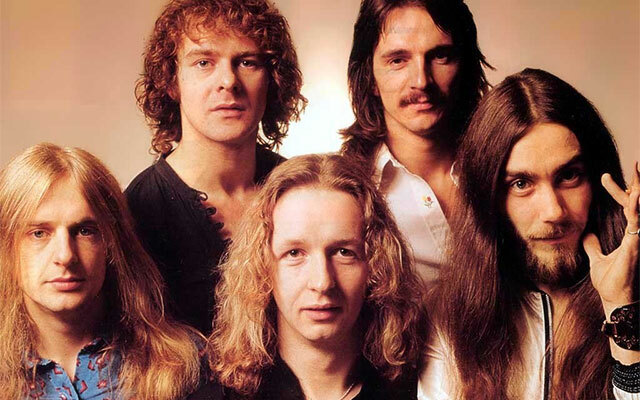 Many of the bands’ preferred song choices, including several written by Tipton who had just joined, were pushed to the band’s second album, 1976’s Sad Wings of Destiny. This sophomore effort is arguably the true Judas Priest debut, and one of the group’s most seminal works, featuring fan favorites such as “Victim of Changes,” “The Ripper,” “Genocide,” and “Tyrant”. The group’s third effort, 1977’s Sin After Sin would showcase the band’s move in a heavier direction and away from the bluesy and progressive elements of the first two records.It was also the band’s major label debut. Roger Glover of Deep Purple fame would produce the album, which featured classics such as “Sinner” and “Dissident Aggressor,” a song that would be covered by the likes of Slayer and Halestorm in later years. The record also featured a cover of the Joan Baez hit, “Diamonds and Rust” which would become a concert staple for the band. 1978 would find Judas Priest releasing two more seminal works in Stained Class and Killing Machine. The two records continued to refine the band’s metal sound and paved the way for the band’s notable 1979 live release, Unleashed in the East. Stained Class featured the classic “Exciter” and the Spooky Tooth cover, “Better by You, Better Than Me,” as well as the beastly, “Beyond the Realms of Death”. The band is performing “Saints in Hell” from this record for the first time ever on the current Firepower tour. Killing Machine (released as Hell Bent for Leather in America) is renowned for its brilliant take on Fleetwood Mac’s The Green Manalishi (With the Two Prong Crown)” along with riff-centric masterpieces like “Hell Bent for Leather,” “Running Wild,” and “Delivering the Goods.” This signaled the start the group’s leather and stud era which became a visual staple of heavy metal. They opened the 80s with their masterpiece, British Steel, an album that broke the band open in North America. The record is the first to feature longtime producer Tom Allom. It spawned the hits, “Living After Midnight” and “Breaking the Law” along with the monster cuts, “Grinder,” “United,” “Rapid Fire,” and “Metal Gods”. Ian Hill called it the definitive heavy metal album and Anthrax guitarist Scott Ian concurred noting it to be the first true metal album as it strips away both blues and neoclassical elements featured on prior “metal” records. They would follow this record up with 1981’s less impressive, Point of Entry. The record never felt as balanced or cohesive, though it did feature arena staples like “Hot Rockin’” and “Heading Out to the Highway,” as well as another fan favorite, “Desert Plains”. 1986’s Turbo became the subject of some fan controversy as the band played with guitar synthesizers for the first time. The popular music scene began to alter in a less heavy direction. Priest dabbled and experimented with new technologies and atmospheres on tracks like “Turbo Lover,” “Parental Guidance,” and “Private Property.” It would be the band’s last platinum effort. 1988’s somewhat lackluster follow up, Ram It Down returned the band to a heavier style. Many of the songs were written as the second and heavier half of the Turbo sessions (originally slated to be a double album). The album marked the last to feature Tom Allom for two decades, and the last of the band’s platinum efforts before the era of grunge would begin to emerge and changing music tastes altered the metal landscape. The Priest would find its bite again on 1990’s Painkiller. 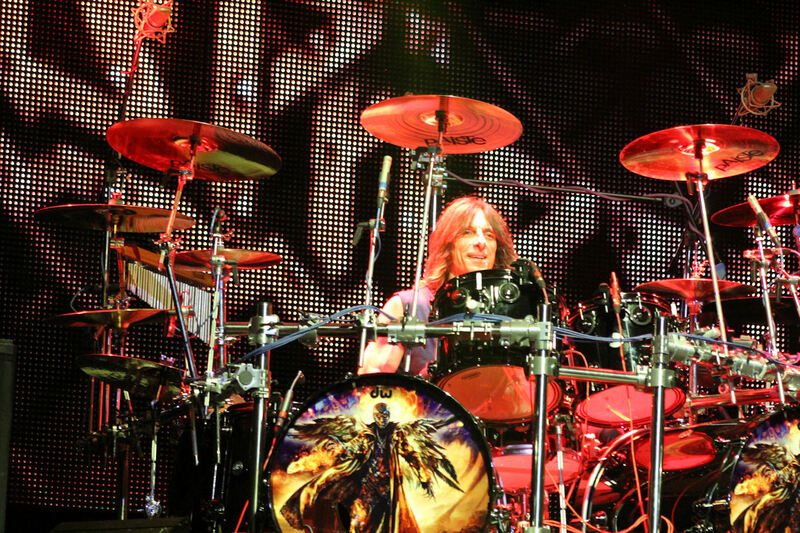 Scott Travis makes his debut here, and his contributions are immediate and pummeling on the album’s opening title cut. A song later covered by death metal heroes, Death. The album earned the band its first Grammy nomination for Best Metal Performance. Sadly it would also mark Halford’s last album with the band for 15 years, and the beginning of an extended hiatus for the band following Halford’s departure. Judas would rise again with new vocalist Tim “Ripper” Owens, plucked from the obscurity of a Judas Priest tribute band. With Owens as frontman, the band would release 1997’s Jugulator and 1999’s Demolition. Unfortunately, between the stagnant music scene of the late 90s and fans unwillingness to give Owens a chance, they became Priest’s least successful records among fans. Jugulator did yield the classic tracks, “Cathedral Spires” and the Grammy nominated “Bullet Train.” Demolition fared worse, and felt a bit manic and disconnected, including some industrial and nu-metal influences. Both remain highly underrated Priest albums. Halford would return in 2003, and the band would release the heralded Angel of Retribution in 2005. The album felt like a natural successor to Painkiller, with some nods to the more classic era. 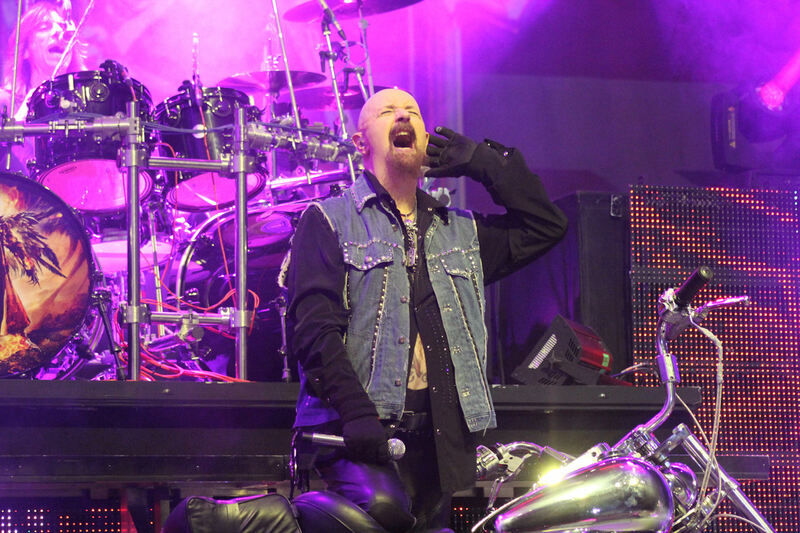 Fans rejoiced at the return of Halford and the Metal Gods. The band then shifted directions slightly, writing a two-disc concept effort, Nostradamus. Like Turbo many years before, fans were split in their reception to the record, but it is a remarkable album in the band’s canon of work. The record featured a return of synthesizers with some symphonic orchestrations, choir elements, and keyboards. Two tracks from the album would be nominated for Grammys. This would be K.K. Downing’s last studio album with the band. Downing would retire in 2011 on the eve of the band’s Epitaph World Tour, slated to be the band’s last. Already committed to the tour, Judas Priest brought in the fiery Richie Faulkner to handle Downing’s role on the road. As the tour rolled onward, Faulkner proved to be a rejuvenating and creative catalyst for the metal stalwarts and discussion of retirement gave way to news of a new album, Redeemer of Souls. The album featured some classic Judas Priest signatures, and the band sounded reinvigorated. There are some new-classic tracks in the making such as “Halls of Valhalla,” “March of the Damned,” the title cut, and “Dragonaut.” Still, the album suffered from some production flaws with the volume being too low overall, and the number of tracks felt a bit bloated. Despite this, the album was among the best of 2014, and expressed promise for a future beyond this record. On March 9, 2018, Judas Priest issued Firepower. The album delivered on the promise of Redeemer of Souls. The band brought back Tom Allom to produce, but also brought in producer Andy Sneap who is arguably modern metal’s most gifted producers. The result is an album that throat punches the listener from the opening chords of the title track and the first single, “Lightning Strike.” Allom helped the band tap into its vintage style while Sneap, the wizard of guitar tone, helped make the album vital and punchy. Songs like “Evil Never Dies,” “Flame Thrower,” “Never the Heroes,” and “Necromancer” are immediate Priest mainstays. 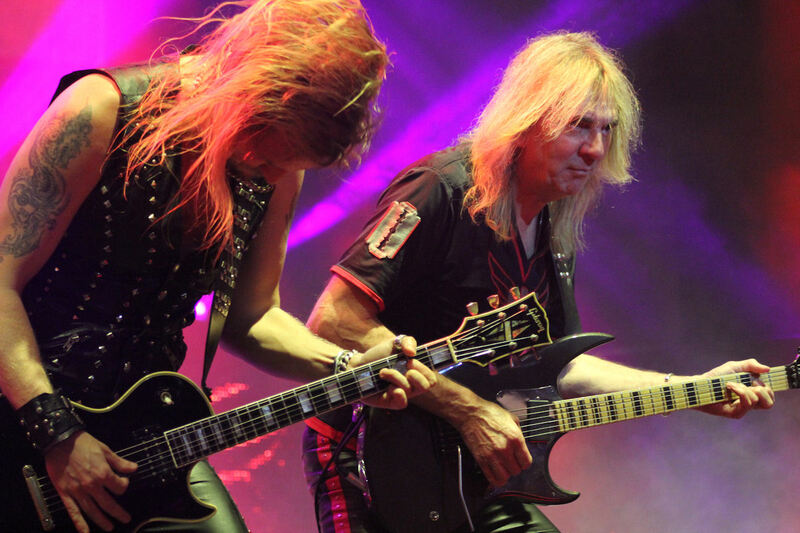 After the recording of Firepower, Tipton announced that he had been battling with Parkinson’s disease for a few years and it had begun to impact his ability to play some of the more difficult Priest songs. As a result, he retired from touring. Sneap, who is also a seasoned guitar player, agreed to fill in for Tipton on the current tour. Tipton is spending part of the tour with the band and has come out for some encores to perform a few songs. Summing up the legendary career of Judas Priest is an impossible task. They have not only created some of heavy metal’s most indelible anthems, but they have helped create and shape the genre. Judas Priest is heavy metal. For these reasons and for all the memories old and new they continue to bring us, Metal Nation has chosen them as our April 2018 Artist of the Month.